I’ll be damned. 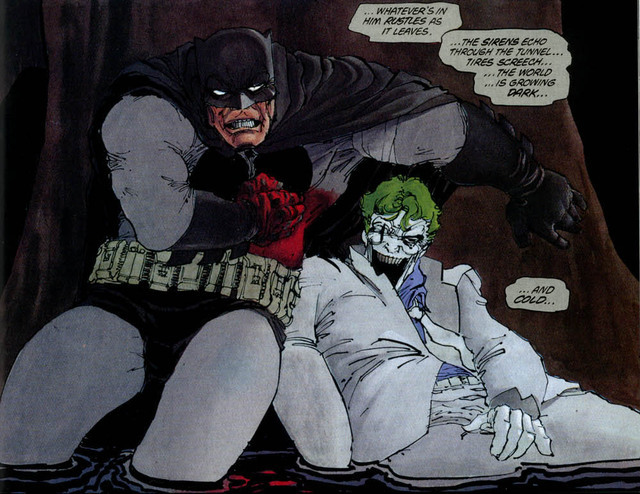 Apparently DC’s next straight-to-DVD animated project after Flashpoint will be Frank Miller’s The Dark Knight Returns. And the one after that, too — because DC will be releasing it as two movies. And other than the news that Peter Weller — Buckaroo “Robocop” Banzai himself — will be voicing Batman, that’s about all we got.